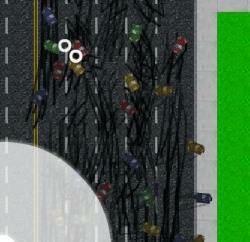 The roads are jam packed with traffic, make your way through the traffic jam collecting the Easter eggs as you go. 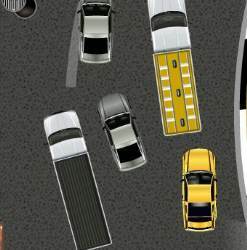 Be very careful as you navigate the traffic jam as you must not hit any obstacles, such as cars or man hole covers. 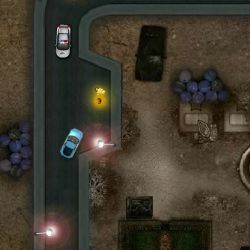 Control the car using the ARROW keys and use the SPACE BAR to brake. Click here to send Traffic Jam Buzz to your friends using your default email program.